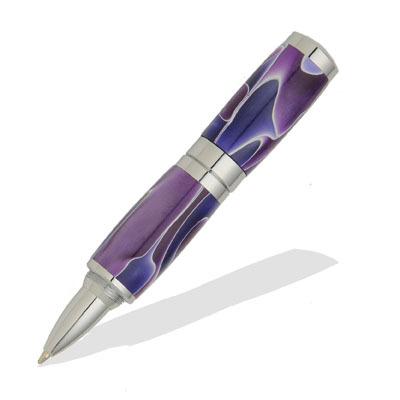 Lipstick Chrome Pen [PKLSPENC] - $35.42 : AnkleBiter Woodworks, When all else fails, send in the dacschund! This Chrome plated Liptstick Pen looks like a tube of lipstick but actually is an indispensable handmade pen. Complete with Chrome fittings, measures only 3-3/8" closed and 4-3/8" long when in use. Cap secures with attractive threaded couplings. An excellent gift.